Numerous other pleochroic gemstones exist - including epidote, iolite, kunzite, tourmaline and tanzanite. Andalusite is polymorphous with the minerals kyanite and sillimanite. 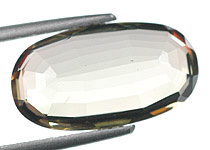 Andalusite's hardness is generally listed to be 6.5-7.5 (Mohs). 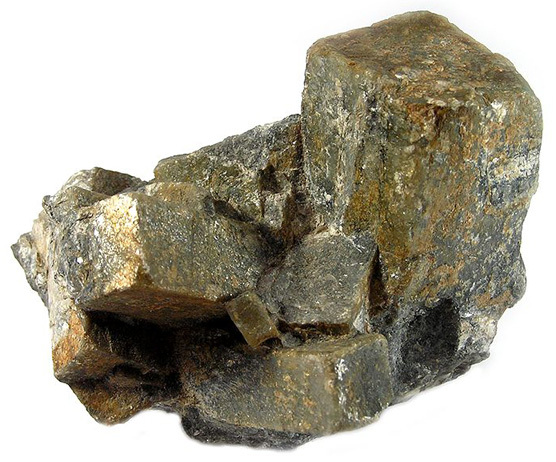 Andalusite is mentioned in the British Encyclopedia of 1809, where it is recorded that it was also known as hardspar. An interesting variety of andalusite is chiastolite, which is known for its symmetrical black graphite inclusions which sometimes occur in the shape of a cross. It was also known as Lapis Crucifer, which is Latin for "cross-bearing stone". This stone is sometimes seen cut into slices so as to show the cross patterns. 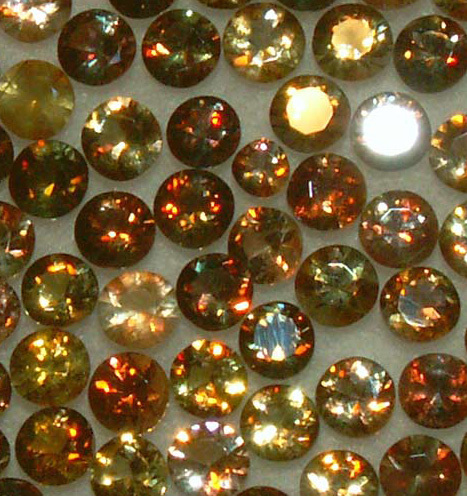 Andalusite is a lesser known gem and andalusite gemstones are relatively inexpensive. Looking online, prices for stones in the 1-2 carat range seems to be around $60 per carat at retail (Sept 2010). From Tyrol, Austria. Overall size 7.5 x 5.4 x 5.4 cm.